Confidence along all the chemicals value chains is always a key issue because of the ability to aggressively manage inventories, according to the London-based chemicals analyst Paul Satchell. So there’s the ever-present risk of sudden and very disruptive de-stocking. The longer the current rallies in commodity prices and stock markets continue, the greater might be the risk that confidence becomes excessive and mistakes made last year are repeated. If the events of last year have taught is anything it’s that markets don’t behave rationally. Those who arrive late for the party just as the punch bowl is taken away might suffer the most – along with those who’ve been there for a while but don’t make an exit before the bar closes. 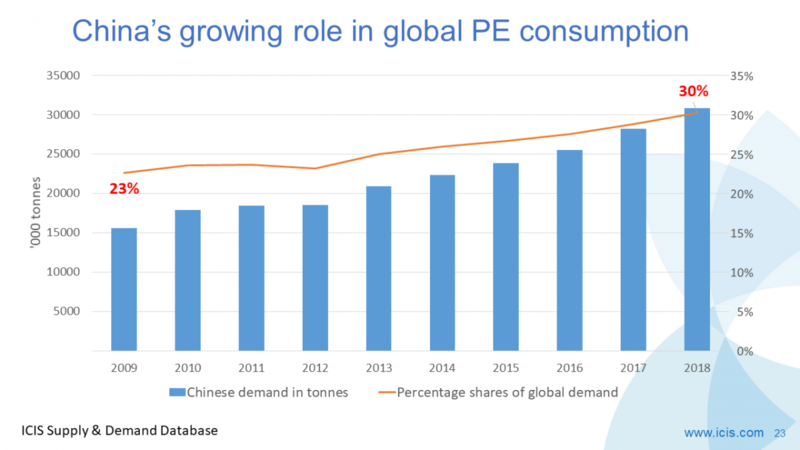 *Polyethylene (PE) inventories in China at the second and third distributor levels were at very high levels in June, according to one industry report. 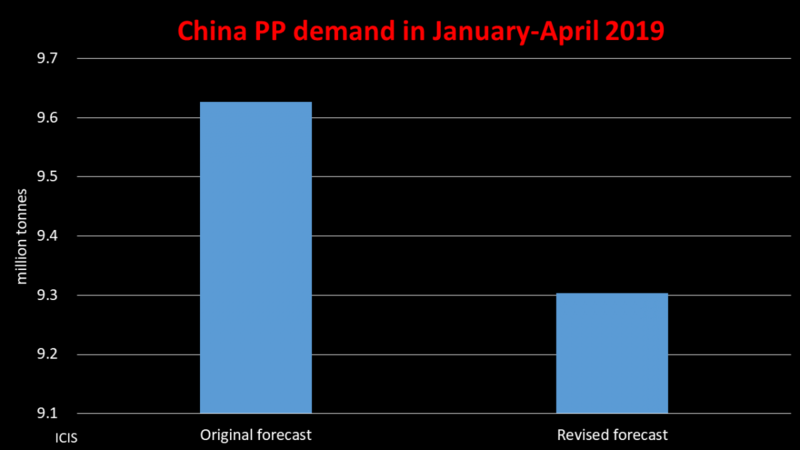 Polypropylene (PP) inventories were, however, at normal levels. Polyester operating rates were said to be on the rise from H2 July as producers tapped into ample bank lending in order to increase rates. This was on the assumption that the September buying season for textiles and garments would be strong, leading to a big improvement in exports. The next Canton Trade Fair will also be a major indicator (the textile and garments phase of the fair takes place between 31 October-4 November). But there are already signs of improvement: The textile and garment industry exported $14bn goods in June, up 13% from the previous month, said the National Development and Reform Commission. But this was still 10% down on a year ago. 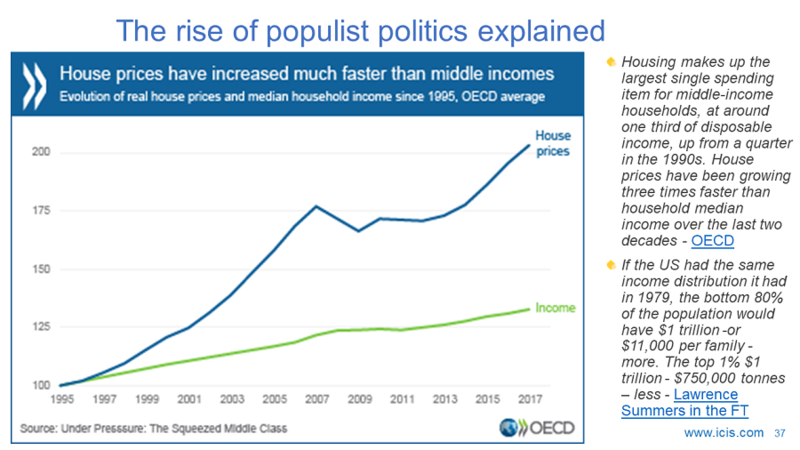 A big influence on confidence will be whether China can be successful in taking the air out of its current real-estate and stock market bubbles. Supply of new loans in July dropped to $52bn from $197.5b in June – a 77% reduction. (China might not want to do anything more to spoil the mood of the party before the 60th anniversary of the Revolution, which takes place on the 1 October). But this bubble has yet to reach the scale of the last one which went pop in October 2007. At its peak so far this year the Shanghai Composite Index has traded at 3.8 times its book value, barely half the 7.2 book multiple in October 2007, according to the Financial Times newspaper. The inventory building we talked about earlier only applies to China and traders in just about every commodity everywhere in the world. 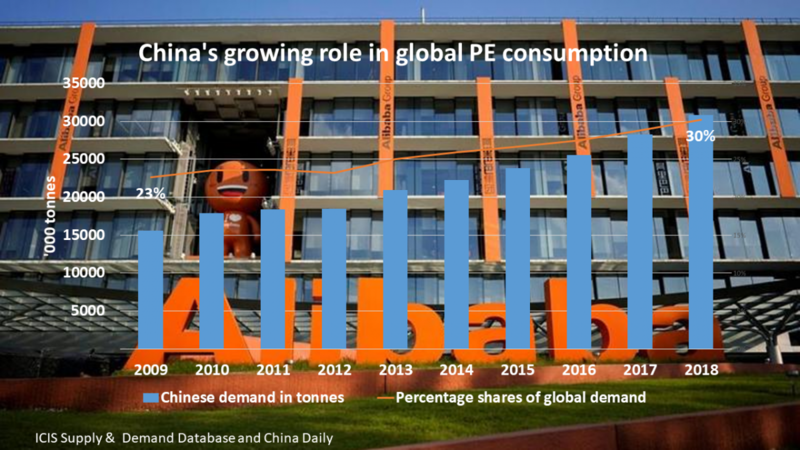 Chemicals companies outside China seem to be exercising extreme caution because of the huge inventory losses incurred in Q4 last year. 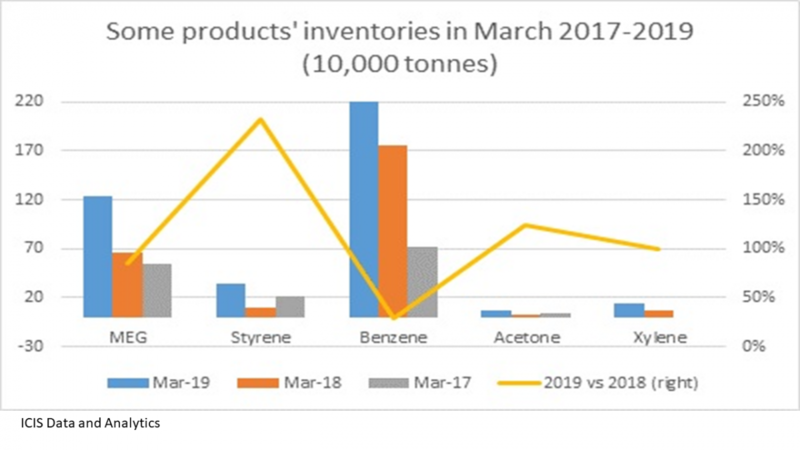 “Inventories are being kept low because there is very little visibility down the value chains,” said a UK-based chemicals consultant. “The credit crunch means that it remains difficult to finance inventories. The focus is cost control with market share taking second place. The same applies to operating rates. US and Europe have maintained deep operating rate cuts – and have idled or permanently closed many plants – with the Northeast Asians also said to be showing very good discipline at the cracker level. Middle Eastern players were in contrast reported to be running flat out in August following production problems in H1. These prevented them from taking full advantage of strong Chinese import demand. 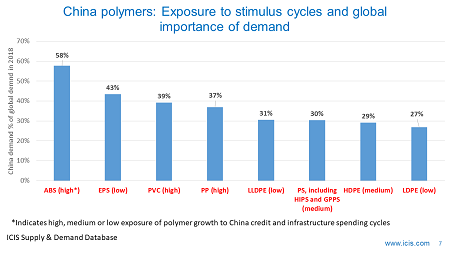 The main focus in polyolefins is on selecting which grades to be produced based on pure economics rather than, again, on winning or maintaining market share. 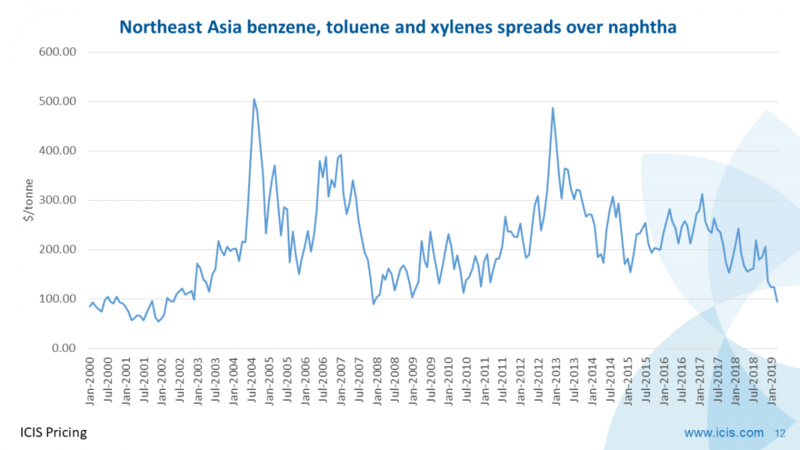 But will this type of caution be enough to prevent a sudden reversal in petrochemical pricing? The big danger is that any retreat could be driven by an unwinding of heavy speculation in crude. At the moment the market remains in full-carry contango, meaning the combined cost of storage and borrowing (the full-carry cost) is below the futures price. If this changes – or quite simply storage space runs out – there could be a sudden stampede for the exit. What seemed counter-intuitive is that oil prices were at mid-August levels when estimates of demand kept falling. This is unless you accepted that the oil market was again being speculator-driven. Petroleum demand would be 1.8m barrels of oil per day lower than it had forecast in June, said oil, gas and refining consultancy Purvin & Gertz. Could it all happen at the same? 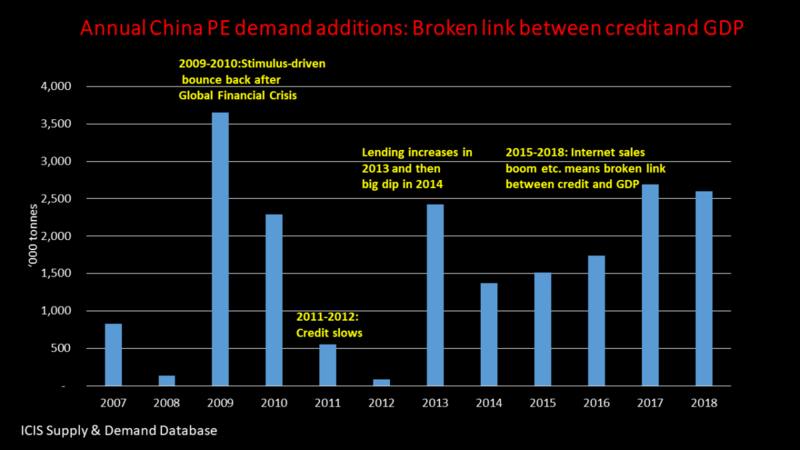 This big worry is that Chinese growth could fall on less economic stimulus as oil prices collapse and much-delayed new Middle East petrochemical capacity hits the markets. China is also due to start-up several major cracker projects in the second half of this year. Let’s just hope that the traders in all the commodities, including chemicals, don’t spoil the recovery before real demand has the chance to catch up with the improved confidence.